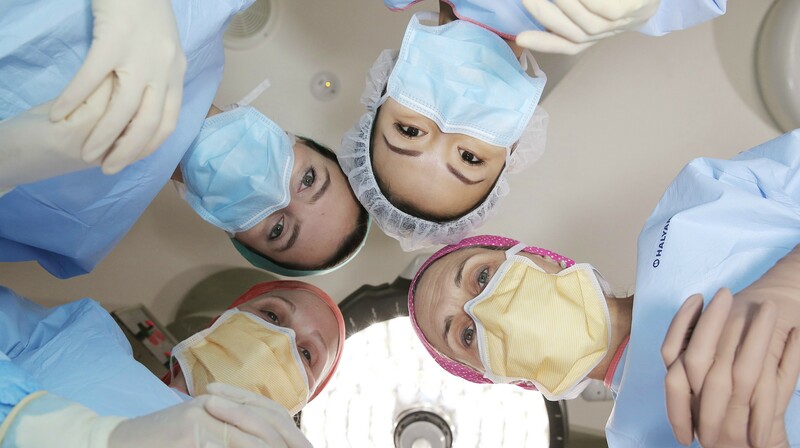 To mark International Women’s Day 2018 (IWD), The Pulse ventured into Westmead Hospital’s neurosurgery and emergency departments, where there are more women than ever joining their fields. IWD celebrates women’s achievements throughout history and across nations annually on 8 March. The day encourages everyone to motivate and unite friends, colleagues and communities to think, act and be gender inclusive. Neurosurgeon Dr Gemma Olsson said to overcome challenges of working as a woman in surgery, women need to champion change. “There used to be far fewer women in our speciality and now we make up ten percent of neurosurgeons across Australasia and rising,” Dr Olsson said. Dr Jacqueline McMaster said balance is needed to manage career and family. “The biggest challenges are that we are expected to do everything anyone else can do while juggling everything else in life. We have to create the right balance, because when you get home to your family, your second job begins,” Dr McMaster said. Dr Olsson’s message to women is that anything is possible. “If you’re a woman interested in the brain and surgery, then just do it, because we have the best job in the world,” Dr Olsson said. Dr McMaster echoed Dr Olsson’s sentiments. “Don’t let anyone ever tell you that you can’t do something,” Dr McMaster said. At Westmead Hospital, we also have a strong group of 13 female consultants in the emergency department. Back left to right: Our emergency department consultants Khanh Nguyen, Rachel Boddy, Mee Ling, Shaila Islam, Kavita Varshney, Daya Jeganathan, Jannatun Nayim and Jo Koryzna. Front: Roslyn Crampton, Danielle Unwin, Shalini Arunanthy. Amongst this group there are mums who have brought a total of 17 children into the world, two marathon runners, two tap dancers, two grandmothers, a ski patrol officer, a state level hockey player, a classical Indian dancer, a seamstress and travellers as well as their medical achievements. Westmead Hospital network director of emergency medicine training and area disaster medical controller Dr Kavita Varshney said the staff are of varying ages, backgrounds and all with a variety of achievements both within and outside of medicine. “I am very proud of what the women do in the emergency department and of course there are all the trainees we have trained, mentored and inspired along the way,” Dr Varshney said. Western Sydney Local Health District’s chief executive Danny O’Connor is hugely supportive of accelerating gender parity, making a stance at a Western Sydney Local Health District business forum yesterday. “I encourage leaders in the room to consider the even distribution of power in your leadership teams,” Danny said. On Danny’s executive team women dominate the pack, with eight women and two men leading the local health district. To all the women, thank you for all you do. You can read more about today’s celebrations on the International Women’s Day website. ← What are we doing to close the gap?